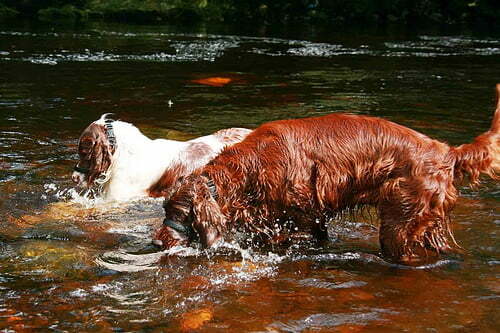 A dog owner in Australia jumped into the river to rescue his dog, an Irish setter, and then needed rescuing himself. Both the man and the dog had to be rescued by rescue teams. The 45kg dog became stranded on a rock in the middle of a fast flowing river, in northeastern Australia. The river was below the wall of a dam, about 200 metres down. The dog’s owner, a twenty-two-year-old man, swam to rescue the dog, but he too became stranded.